Imagine for a moment that you are at Paris’ glittering grand opera house in 1832 to see the new ballet everyone’s talking about, “La Sylphide.” The red velvet curtain rises and to your amazement you watch dancers in ethereal white dresses gracefully twirl across the stage. They seem to defy gravity as they leap and float through the air. For the first time ever, you see a woman center stage, leading the group. And what’s that – they’re dancing on the tips of their toes! You’ve never seen anything like it, but one thing’s for certain – you’re witnessing the dawn of classical ballet. Modern ballerinas are following in the footsteps of a long and time-honored tradition. Every position they assume, every jeté and rond de jambe they make has been honed over centuries. Today, we perform the same ballets in exactly the same way as they were performed hundreds of years ago. We could go all the way back to the beginning of dance, but that’s a story for another time. Let’s jump ahead a bit to the 17th century, when “court ballets” held for royalty and the aristocracy were all the rage. As ballet grew in popularity, operas began incorporating it into their productions, to the delight of audiences. But, bigger things were on the horizon. In the 18th century, ballets began being performed on their own, with choreography and music that told dramatic stories. The next century ushered in the Romantic Era. This saw the creation of ballets like “La Sylphide” that featured enthralling stories about the supernatural. This era was also when the tutu and dancing en pointe were introduced. The skills were harder, the choreography was more demanding and the ballerinas were finally being taken seriously as professionals. Most responsible for the rise of classical ballet as a genre was Marius Petipa, “the father of classical ballet” and possibly the most influential ballet teacher in history, as A Dance Through the Ages asserted. He put together choreography that was more intricate and performances that were more dramatic than audiences had ever seen before. He created “The Nutcracker” (or rather, the libretto), “Swan Lake” and “Sleeping Beauty”, and some versions of these ballets are still performed in the same way they were put on centuries ago. Tutus also became shorter around this time so that audiences could better see the ballerina’s impressive footwork and leg movements, the Pittsburgh Ballet Theatre explained. 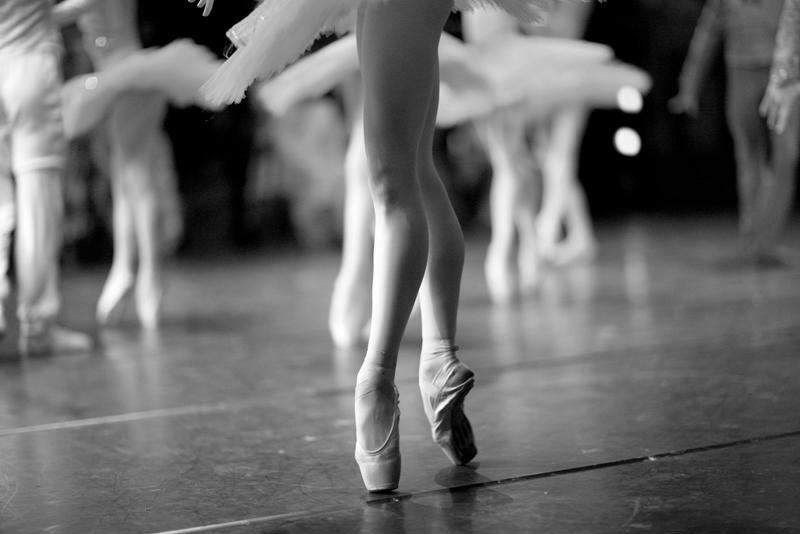 Classical ballet emphasizes fluid, graceful movements and long lines, along with strict adherence to correct form and technique, especially turn-out of the legs. There’s also a focus on narrative and storytelling achieved through dramatic visuals and complex choreography. Classical ballet emphasizes long, graceful lines. Classical ballet may be best represented by Swan Lake. While it’s likely the most well-known and beloved ballet in the world, it was actually a bit too avant-garde for audiences back when it premiered in 1877. According to the Gelsey Kirkland Academy of Classical Ballet, Swan Lake was “not well received with near unanimous criticism concerning the dancers, orchestra, and décor.” Audiences even disliked Tchaikovsky’s now-classic score, calling it too complex. So, with the help of Imperial Ballet master Lev Ivanov, Petipa retooled the ballet and things began looking up. Audiences were particularly charmed by Italian ballerina Pierina Legnani, who played Odette between 1894 and 1895. She turned 32 fouettes in the final scene of the ballet – the most ever performed at the time! Critics and audiences warmed up to the ballet, and well, the rest is history. Remarkably, we’re still performing the same skills, choreography and productions as ballerinas did a couple hundred years ago. So the next time you step into class or take to the stage, think about how exciting it is to play your part in bringing the tradition of classical ballet into the future.